The first question most women ask after a breakup is: can I get my ex back? It can be hard to think of anything else when your emotions are running high and you feel like you’re still in love. But the first question you should really be asking yourself is: do I want to? The answer to the first question is maybe. There is always a chance, but missing him isn’t enough. You can’t get back together without doing any inner work and expect things to be different. Nothing has changed on the inside, so nothing has changed on the outside, either. If you get back together just because you miss him, you’re in serious danger of getting into an endless on/off cycle, driven entirely on emotions, and you could waste years of your life. Assuming it is a good idea to try to get him back, is it even possible? It is, and here are 12 good signs you have a shot. All breakups are tough, but some are downright nasty and vicious. If it ended in an all-out war, leaving both people full of hurts and resentment and an inability to trust each other, then it’s unlikely you’ll be able to get him back. This goes especially if it was a newer relationship with less of a foundation to begin with, but it also goes for some long-standing relationships. Some words and deeds cannot be undone, and the memory of them can create an insurmountable obstacle to moving forward. This is because there were real feelings and thoughts and reasons for all that viciousness, and those haven’t gone away, even if they aren’t right there on the surface. Men hate drama, and they can sense when it’s still there, lurking beneath the surface and ready to reemerge. If, on the other hand, things ended with some degree of love and respect, there is still a chance you can work things out and get him back. There has to be a good foundation to begin with and enough trust to build on, so if you have that and you both treated each other well enough when things were rough, it’s more likely you’ll be able to look past the sharp words and misunderstandings. People show who they are when they’re under stress, not when everything is going perfectly. If one or both of you resorted to being nasty and awful when things got difficult, it probably means you shouldn’t be in a relationship. Ask yourself: even if he wanted to take you back, why would you sign up for that? The goal shouldn’t be to be in any kind of relationship at all, it should be to be in a loving, happy one. That takes two people who know how to end things amicably and respectfully when things don’t go well. Maybe you broke up because of finances, but now you’re both doing well on that front … you were long distance but now you’re not … he wasn’t ready for a serious commitment but now he’s in a place where he wants to settle down … you both needed to grow up and you have since matured. You get the idea. There was one major issue causing constant problems and it’s gone. You have to be careful here. Every couple will confront problems in life, and in order to have a strong and happy relationship you have to be able to work through them together. What if you have significant financial problems again down the road? What if you need to live apart at some point due to career choices? You need to look at the whole picture and how you resolve problems together in general because it’s a good measure of how you’ll solve problems together in the future. But sometimes you grow together because of the problem and the problem also goes away—like if you come to an understanding about how you each view money because of a financial conflict, and whatever the conflict was also goes away. In this case, future financial problems can be faced better because you know your partner better. Or if he wasn’t ready to commit, but now he is. Problem fixed. If the reason is unfixable—he’s not sufficiently attracted to you and doesn’t desire you, he doesn’t want what you want in life, he’s one religion and you’re another and it matters to him—then it’s not worth taking another chance. You’re not likely to get him back, and even if you did, the problem isn’t fixable so it’s not going to last. The only way it could work in an extreme situation like one of these is if he changes his mind, and that’s something he’d have to do completely on his own. If it wasn’t working and things were bad enough that you broke up, it won’t start working again unless something significant changes. Change takes time, and work, and a high level of emotional maturity. Maybe now you can see that your insecurities caused problems, or maybe he realizes it was his immaturity, or most likely it was a combination of the two. Whatever it is, you’ve both evolved past it and are more grown up now and better able to handle the challenges of being in a relationship. The critical thing to remember here is that chances are, you both needed to work on things about yourselves that were causing problems in the relationship. So it’s not even enough for you to mature, he has to mature as well. If you’re both exactly the same as you were in the relationship when things went south, nothing will be different and history will just repeat itself. How can you tell if you’ve both matured enough to get back together and have a real chance? First, ask yourself how long it’s been. Remember that maturing takes time. If it’s been a week or two since the break-up, or a couple of months of no contact, you haven’t matured enough. It’s just not possible. It takes time to dig into our issues and look at the ways they cause us to sabotage our relationships, and a lot of hard work to fix them! It doesn’t happen in two weeks, or even in two months in most cases. Next, how are you interacting with him? If the way you communicate and the way each of you feels about that hasn’t changed, it’s because nothing else has. It can be so hard to step back and take the needed time to be alone and work on yourself, but often that’s what you need to do in order to mature enough to work on a relationship with someone else. But let’s talk about maturity in general, because it can be a confusing term. Bringing maturity into the relationship means that you are able to give your partner space to have their negative emotional reactions without reacting to it yourself. You give them space and, even if they’re doing and saying things you don’t like, you can still view them through the lens of love, compassion and understanding. You can forgive them for not being perfect. MORE: Ask a Guy- How Can I Get My Ex Back? And furthermore, you don’t put your needs onto them. When you give them space to be as they are and you can view them through a lens of compassion, love and understanding, it may become readily apparent that you and this other person want very different things. Another important component of maturity is a person’s ability to discuss difficult matters plainly and honestly, without making the other person into a problem. That is to say, not blaming the other person, not resenting the other person, not attacking the other person. If you can truly forgive him for whatever happened the first time around, and he can truly forgive you, you may be able to work it out. You have to be willing and able to wipe the slate clean and start fresh. If one of you wants to hold a grudge and punish the other person, either now or down the line when you have the next argument, it’s not going to work. First, ask yourself if he seems able to forgive you. If he’s not responding to your attempts to get back together, or if he seems kind of open to the idea of getting back together but he’s treating you badly or like he doesn’t love you or appreciate you the way he used to, he probably isn’t able to forgive you. If you’re the one who needs to forgive, ask yourself if you can you really let go of it all. Be honest. Some things are unforgivable, and everyone has a different threshold for what that is. Can you get over him cheating on you? Can you look past him ghosting on you? Can you forgive him for flirting with other women on social media? For not being there when you needed him most? Be honest! Resentment is absolute poison to a relationship, so if there is any trace of it you’re dooming yourself from the start. This doesn’t mean you stayed friends, per se. But if you see each other, it’s pleasant. 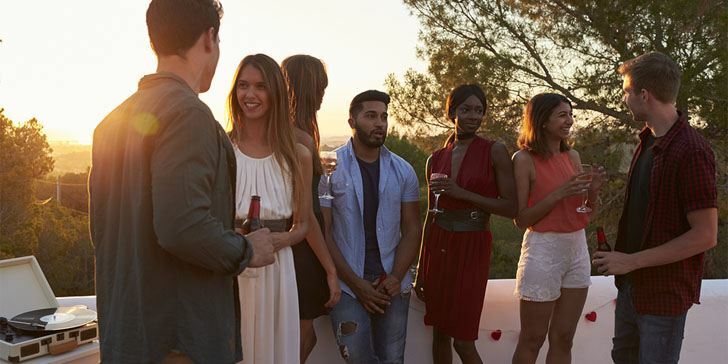 You’re able to be civil and even friendly when you run into each other in town or at a party. If you can’t choke out basic pleasantries or be in the same room with him, the chances of you both warming up enough to regain the level of intimacy you’re aiming for are slim. Keep this in mind when breaking up. It’s okay to go no contact when you need time to process what happened and work on yourself, but you need to try to remain civil and mature when you see each other in public if you want any chance of getting back together. And remaining on friendly terms post-breakup doesn’t mean chasing him and begging for him back, all to no avail. Think polite, but a little distant. You’ll know if you’re there if you’ve moved past the problems in your relationship enough so that even if you haven’t necessarily worked through everything, there’s no lingering hostility. You still like each other as people so there is some remaining warmth in your relationship. The longer you were together, the more likely it is you’ll get back together … unless something really terrible happened to cause the relationship to end. If you were together for years, it’s possible he needs some time to himself before moving forward in the relationship, or that you’ve become so much a couple that he’s lost his feeling of autonomy and needs some space to figure things out. In this case, you’ve built a stronger foundation to begin with, and if things were basically good he may realize what he’s missing once it’s gone. This isn’t always the case, it just means that you’re more likely to get him back than if you’d only dated for a few months. Short-lived romances can also re-spark, as long as there is still fundamental compatibility and chemistry. As with the longer relationships, this is if something terrible didn’t happen. If you really turn him off with drama or neediness or pushiness and you’ve only been dating a few months, chances are you won’t be able to get him back because there weren’t enough good memories to outweigh the bad ones. The family knows all. Your parents liked him and his parents liked you. Your friends liked him and his friends liked you. Basically, everyone got along, and you were integrated into each other’s lives. If everyone in both of your lives was sad to see it end, you probably have a chance at getting him back because he’ll have a positive overall feeling about the relationship and how it fits into his life. When someone is integrated into your life, it’s harder to let them go. If he liked his life with you in it, he’ll be more invested in maintaining his relationship with you because it’s about more than just you and him. You want a committed, long-lasting relationship and he’s emotionally ready for that kind of commitment as well. The biggest factor in determining a relationship’s chances for success is that both people are operating on the same wavelength. Essentially, you want the same kind of relationship. The bottom line is that if he’s not in a serious frame of mind about the relationship, he’s not going to be interested in working through any problems. A man has to be invested in a relationship before he’ll work on it, and making up after a breakup is work. You’re both single, both living relatively close to one another, are pretty settled in your lives, and feel happy and satisfied in general. Everything has just fallen into place and is flowing naturally in terms of day-to-day stuff, despite whatever caused the breakup. This is a good environment for a healthy relationship. 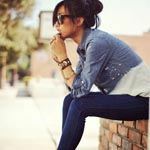 If things feel generally stable and natural, and everything except for why you broke up is settled and easy, then there’s a higher likelihood you can work things out. 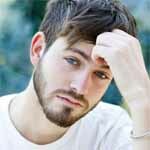 If in addition to whatever caused the breakup there are additional stressors on the relationship, like one or both of you having problems in your career or trying to keep the relationship going long distance, then it will make it really hard to focus on and fix the problem that caused the breakup. There will be too many other distractors making the relationship difficult at the same time. If you still have a strong emotional and physical connection, it’s not a guarantee you’ll get back together, but it helps. It’s important that you still feel that spark—that your heart always beats a little differently around him and he has an effect on you that no other guy has—but it’s even more important that he still feels that spark for you. This is tough because you can’t be sure how he feels. You just have to trust that if you give him some time and space and if he does still feel a spark, he’ll come back. But if you chase after him it will probably chase away any spark that was left. He has to have time to miss you and realize for himself that the spark is still there. Now, when you have the kind of connection I’m talking about, you should feel happy in the relationship, and things should feel calm and stable. 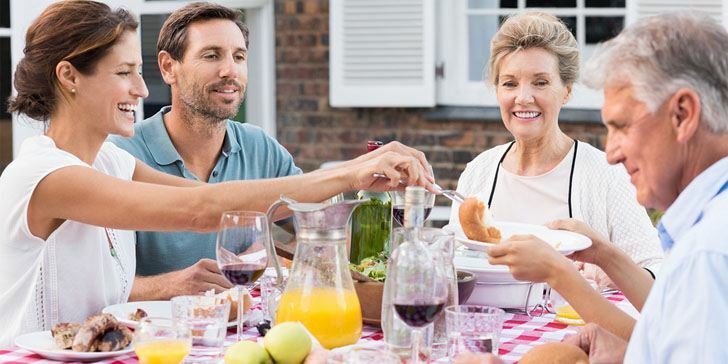 If you’re used to being in toxic relationships, you might think that intense highs and lows, fueled by uncertainties, doubts, and fears, is a “strong” connection, but it’s not. A strong connection is a stable one that makes you feel good. If it feels intense but it makes you unhappy or insecure, it’s not strong or healthy, it’s unhealthy and is not the kind of spark I’m talking about. This is another one you have to be careful about because if you’re always breaking up and getting back together, splitting up but continually circling back to one another, this could represent a very toxic dynamic where you bring out the worst in each other but can’t seem to let each other go. But if you always seem to find your way back to each other, not necessarily in a romantic sense, it could be in a friendship sense… after every failed relationship you feel an urge to speak to each other … you want to catch up because you genuinely want to know what the other person has been up to because you still care … if you can’t seem to make a clean break (again, not because of a toxic dynamic, because you genuinely like them and enjoy having that person in your life, there’s a chance you could get back together. In order for this to work out, there can’t be a lot of negativity about parting ways and then dating again. In this case, maybe one day you’ll circle back to each other and things will just click. If you feel like you had something really special, if things just clicked and felt very natural, if it was easy to be around him and you knew he felt the same way, if when you see him again it’s like no time has passed … it’s possible you really do have something unique and he will recognize that and want to get back together. You have to keep in mind, though, that we can never truly know another person’s heart and mind like we know our own. It happens so often that two people leave a first date with totally opposite impressions, and even in relationships, you can’t assume that just because you’ve never experienced anything like this before, he hasn’t either, or just because it feels amazing to you it feels the exact same way for him. 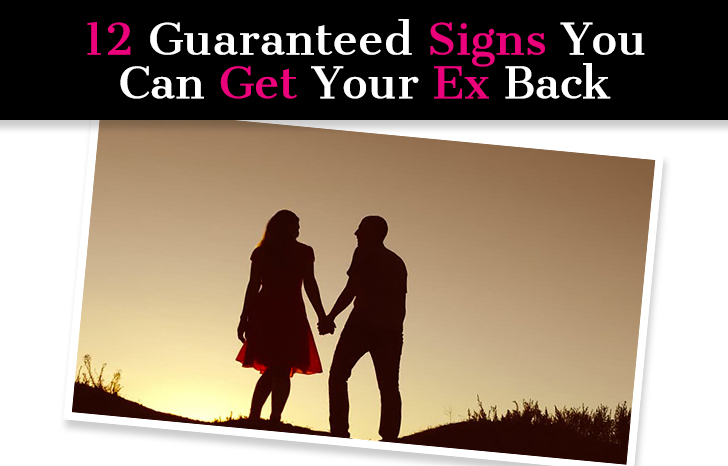 But if you have a feeling in your gut that you and your ex are meant for each other, and the other signs here seem to be lining up, there’s a higher chance you’ll be able to get him back. Beyond figuring out what caused the breakup to begin with and doing the inner work needed to ensure you don’t run into the same problem over and over again, both of you need to want it. This is the most essential ingredient of all. If he isn’t ready for a relationship and doesn’t want to be in one with you, there won’t be anything you can do to get him back. But if you’re able to check off everything on this list, it means you and your ex definitely have a shot at regaining what you had and maybe even turning it into something better and stronger.